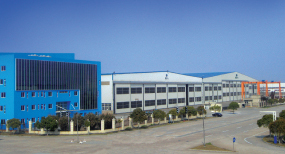 Driven by the growing demand in the oil, gas and petro-chemical industries in China, KNM Special Process Equipment (Changshu) Co Ltd, was duly incorporated in 2002. The company provides design and manufacturing of process equipment, pressure vessels, shell & tube heat exchangers, air cooled heat exchangers, boiler and skid mounted assemblies. The plant is located within 500 m from the Changshu Xinghua Port of the Jiangsu Province with capabilities of handling vessels and modules exceeding 15m x 100m in size and weights up to 2,400 tonnes.